Most kids I know love flowers. And you really can’t blame them. Flowers are so intricately made and each season (where we live) brings amazing blooms. 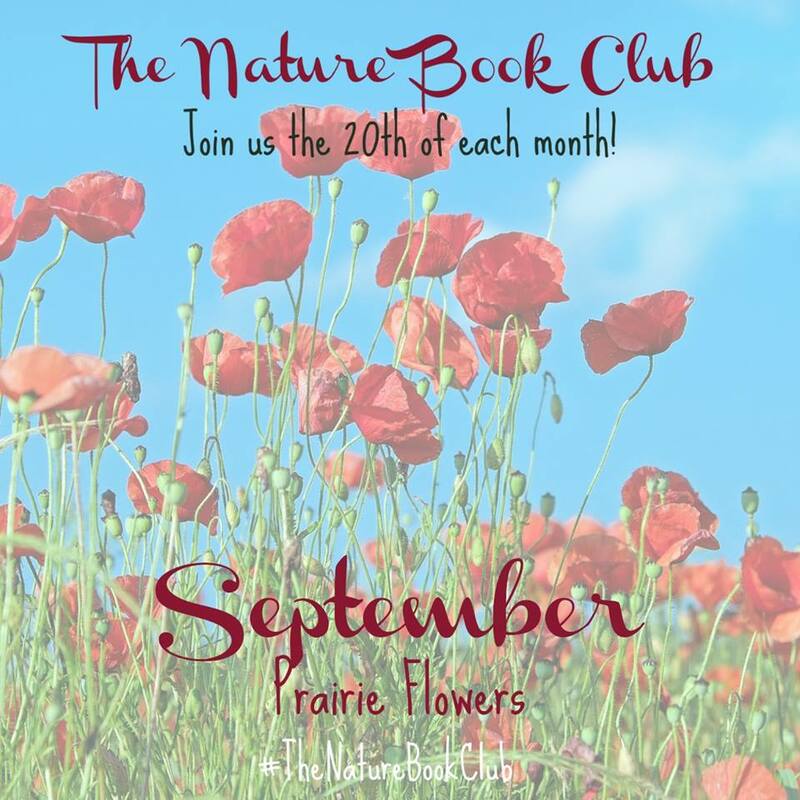 For this month’s Nature Book Club, we set out to learn about prairie flowers. 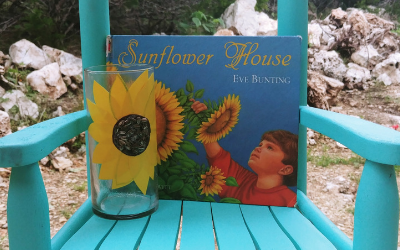 It just so happens that one of my favorite children’s authors, Eve Bunting, wrote a book called Sunflower House. Since we started reading it, my kids have been hooked on its adventurous and rhyming style. 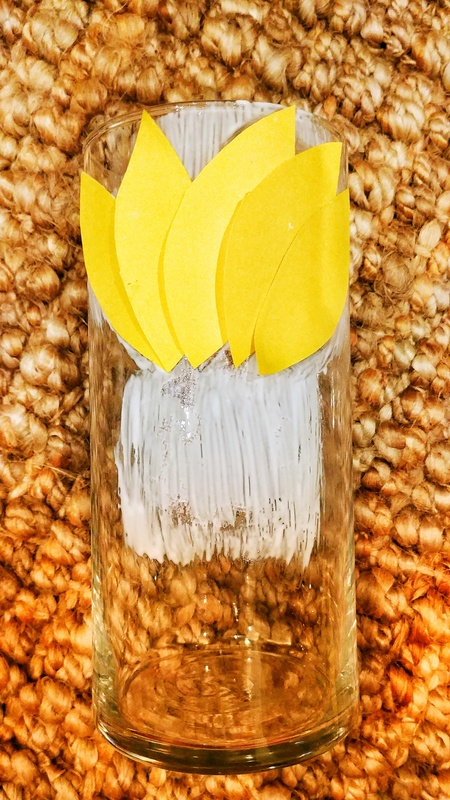 We paired up the book with a cute decoupage flower vase that you can make quickly and enjoy forever! We love books AND we love to decoupage things! 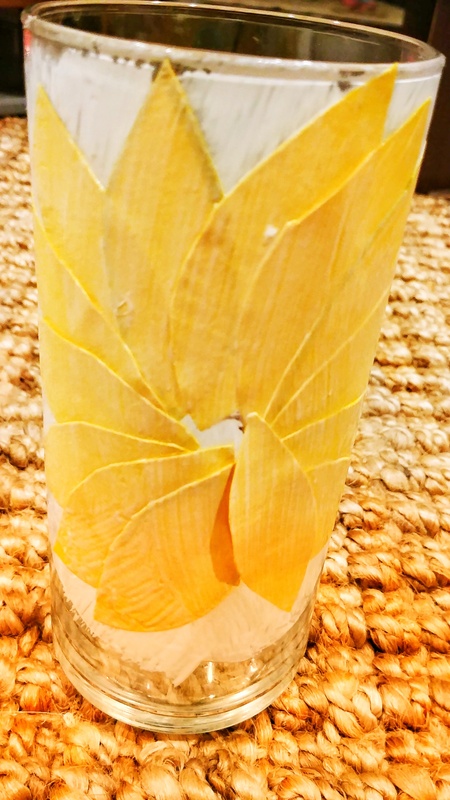 (You can check out our other decoupage art project HERE). So what did I have in mind for our project that would coincide with Sunflower House? 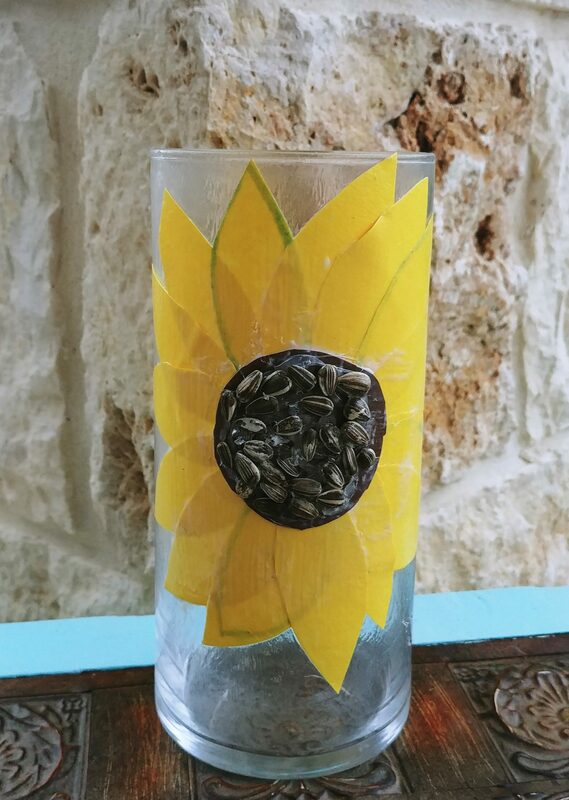 A sunflower decoupage vase of course! 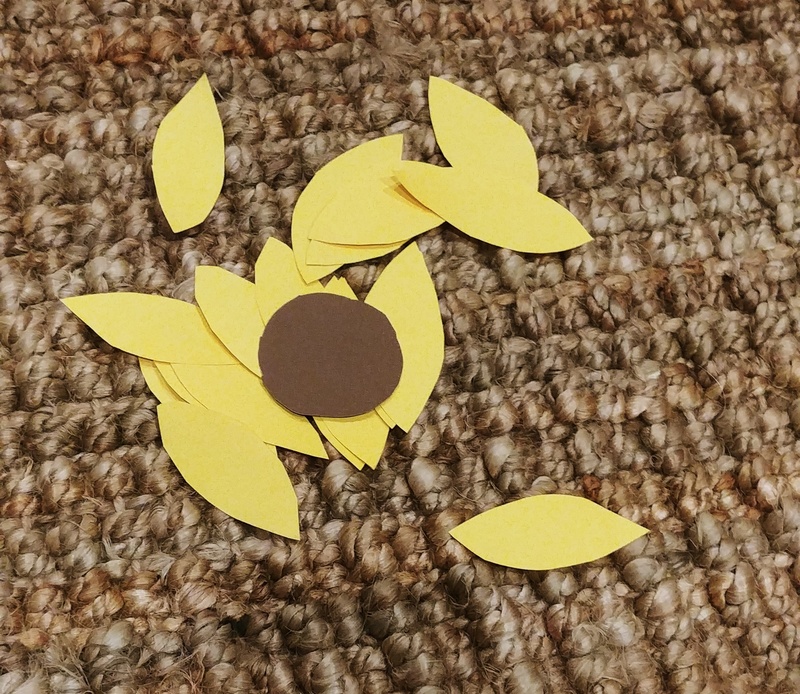 First, cut the yellow construction paper into the sunflower petals and the brown paper into a circle forthe flower’s center. I didn’t use a stencil, I just drew the petals out and folded my paper accordion style so I could cut them all out at the same time. Older kids can do this part on their own. Younger kids might be a little frustrated by this step, so you can definitely do it ahead of time. 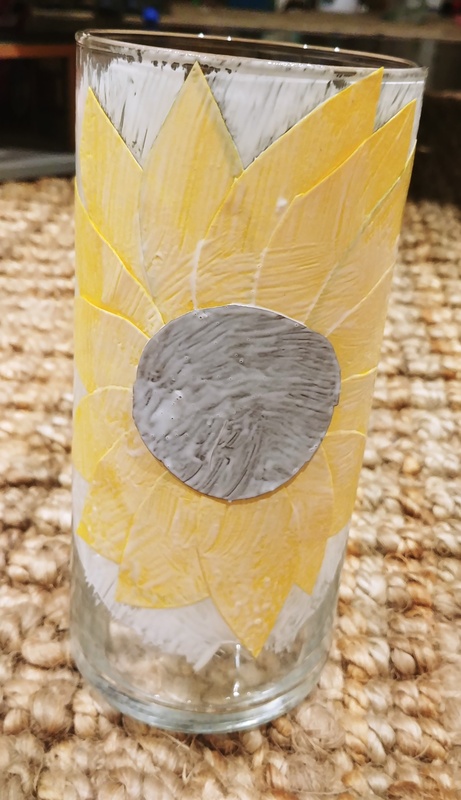 Next, use the paint brush to put Mod Podge over the area that the petals will go and start putting the petals in place, fanning them out in a circle. 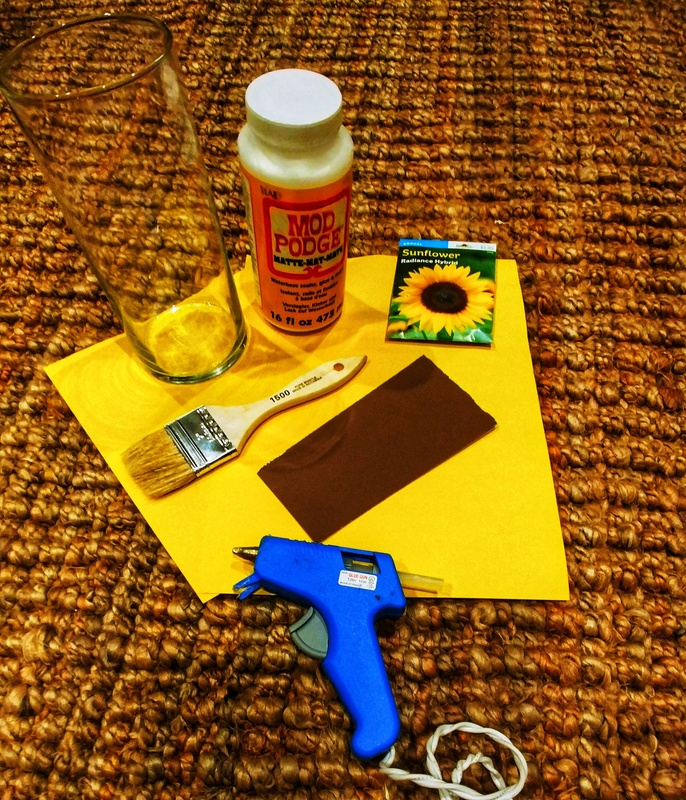 You don’t have to work super fast, but if the Mod Podge dries, just add more to your area. 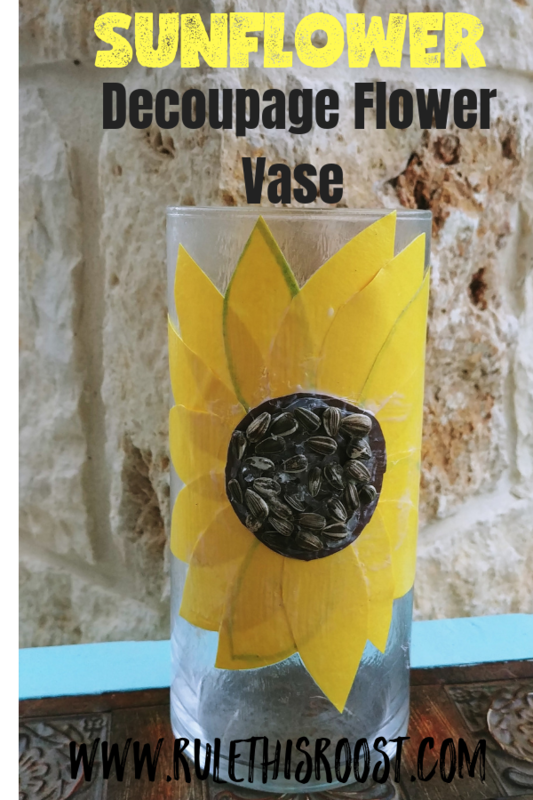 Now you can paint over the petals with Mod Podge. Add in the brown circle for the center, and Mod Podge over it as well. After 15-20 minutes of dry time, add another coat to make sure that everything is sealed and staying in place. 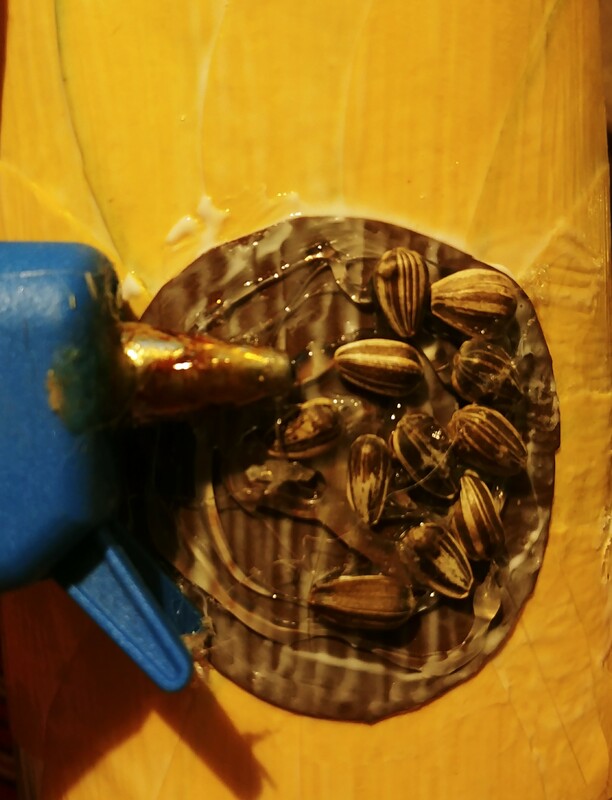 When everything is dry, use your hot glue gun to glue down the sunflower seeds onto the brown circle. This is definitely a step that you want to assist your kids with. Let it dry and enjoy your adorable new vase!